Who Can Benefit from Using a PEO in Canada? How Can a PEO Help with WCB Needs? Employer of Record vs. Staffing Firms: What’s the Difference? Should I Set up as a Foreign Entity or a ULC? Should I Set up as a Canadian Branch or Subsidiary? What Canadian Payroll Rules Do You Need to Know? Have You Considered Partnering with a Canadian Payroll Provider? Can Canadian Payroll Service Providers Help Your Company? When Should You Seek Payroll Services in Canada? How Does Vacation Pay in Saskatchewan Affect Payroll Processing? How Is Your Payroll Affected by Employing a Canadian? Canadian Payroll vs. U.S. Payroll: What’s the Difference? What Are the Advantages of Using a Canadian Employer of Record? Answering the Question: Can a US Employer Hire Canadian Employees? How Exactly Can Payroll Companies in Canada Help Your Business? Payroll Services for Canada: What Are My Options? What Is a Canadian Employer of Record? When Should Businesses Turn to Payroll Outsourcing? How Do I Terminate an Employee Who Isn’t Working Out? 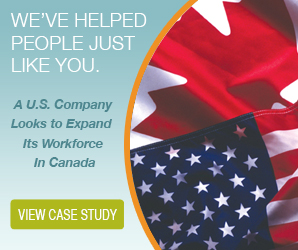 How Can a US Employer Hire Canadian Employees? The Differences Between Wrongful Dismissal in Canada and the U.S.
What Is the Correct Way to Terminate an Employee? Do I Have to Comply With HIPAA For My Canadian Employees? Why Partner with a Canadian Professional Employer Organization? What Are the Differences in U.S. vs. Canadian Payrolls? Can You Use an Employer of Record for Payroll? Should You Keep Your Payroll In-House or Outsource It? Should You Handle Payroll In-House or Outsource to a Payroll Provider? What Are the Penalties for Employee Misclassification? What Is a PEO and How Can Your Business Benefit? How Will Outsourcing Payroll Affect Your Employees? How Do Employer of Record Services Work? The 6 W’s of Issuing ROE’s for Your Canadian Employees! Canadian Privacy Laws Make Expansion into Canada Difficult! Are You Using an Employer of Record? What’s the Difference Between an American 401 (k) & a Canadian RRSP? Looking for Professional Employer Organization in Canada? U.S. Employers: Is Your Independent Contractor really an Employee? How Good of a Canadian Payroll Calculator Are You?